For those of you that have come to know the uniqueness of the webcam functionality associated with BingoCams, please enjoy our interview with Vikki about this brand as well as the latest brand, Bright Bingo. 1. How do you think that the concept behind Bingocams has affected the online bingo industry? We're the only brand with webcams so that brings the whole community and the old school bingo halls back to online. I'm still amazed that we're the only one who does it. I thought it would have been picked up by now but the players love it. It's really sweet when you see an online proposal. We had a Live Win Moment where the guy popped up in the background and proposed to the lady. We've had people meet in live chat and then get on with each other, move in together, get engaged. We had a competition at the holidays. The guy won a thousand pound holiday and instead of going abroad he took three of his Bingocams friends to Butlins Holiday Park. It's so cute. They all just love it. They all send photos of their families. They all share all these moments with each and it's just really nice. All of our promotions as well are based on loyalty. So the big free games, you essentially have to play a lot over three months to get in on the final for a ten grand free game. We're not just letting anyone do it. We really value our loyal players. We still allow other players to get involved as well. It's a struggle sometimes because players create their little cliques but it's really quite welcoming and fun. I think when you see the live hosts, it's easier to relate. 2. Tell us about one of the most exciting Live Win Moments. Definitely, the proposal. It was so funny because the host said that the lady won two hours before and you could see the guy go to get up to propose and it cut off so he sat back down. Then they were all waiting because she didn't know. They were all waiting but nobody would tell her. They had to wait two hours until she won again and the guy runs up and says 'will you marry me' and everyone was so excited. So good. There's just so many of them. Some of them are just brilliant especially the ones where they're just genuinely excited. This girl was just looking at the screen going Barry, Barry, Barry I've won £500. 3. How are the live chat hosts trained? They do intensive training when they join. They have to be on live cam and they are put in a situation where they have to perform as if it's a live environment. It's a completely different situation. Being on camera nonstop for 4 hour stints - talking nonstop. They have to be on form all the time. If it's a quiet room like the Millionaire room where the tickets are 50p each, there are three or four players in there. The big spenders are not big talkers so they're talking to themselves all the time. They have to learn to deal with it and talk to people on a level that they understand. The thing I like about Bright Bingo is that we use the cams but in more of a party way. It's not all the time, it's not constant. It's just like party evenings where they all get dressed up. We're having a British Heart Foundation have Rock Up in Red where everyone gets dressed in red. So the players will turn up dressed in red, all the hosts will be in red all day and we raise quite a bit of money for it. We do it every year. If you're that kind of person that likes dressing up and likes doing these things - a lot of them come up with their own games and themes. It's hard work but they seem to enjoy it. They either last a long time or they do 2 weeks and hate it. Our chat host manager comes from a background of training people. She had to learn how to do it virtually. They have a get together day once a year. It's just so much fun. I don't think a lot of bingo sites do that where they get all their chat hosts together. From Scotland all the way down to Cornwall, they all come together and have this big party and play bingo. 4. What is the largest jackpot, on either bingo or slots, ever won? The biggest was when the Big Bang jackpot got up to 36 thousand. Considering we're a standalone network, that's a lot. The even better thing about is you can see someone on live cam winning 36 thousand. It's a bit disappointing when they don't have their cam on. The other thing is you can't win a jackpot unless you've deposited in the last three months and some people are just playing - you get quite good bonuses on Bingocams. Some people have won £500 jackpots and haven't been able to claim them because they haven't deposited even £10 in the last three months. 5. What is the concept behind Bright Bingo and what sets it apart from the competition? The main focus is rewarding real players. We find a lot of players that spend their own cash and play, don't get rewarded enough on other sites. There's so much free cash going in. People sign up they get a bigger bonus and a lot of that goes into the prize pools. The real focus was to keep our welcome bonus up to £40 so it's never going to be a big percentage of the prize pools. We reward them in other ways. Our free spins, they only get 10, but whatever they win gets paid in cash. I'd rather have that than 100 free spins where you have to play them 300 times before you can actually get any money out. Our loyalty program is very different than what you'd find on any other site. It's a lot like what you'd find on a social bingo site with levels and you can exchange your gold coins for bonuses or prizes so you can win an iPod whatever you want really. Nobody saves the gold coins. They cash them in for a £20 bonus. It's just slightly different - just trying to reward real players that want to contribute to our community. We reward them and look at the long term. 6. Which software providers are available at Bright Bingo? 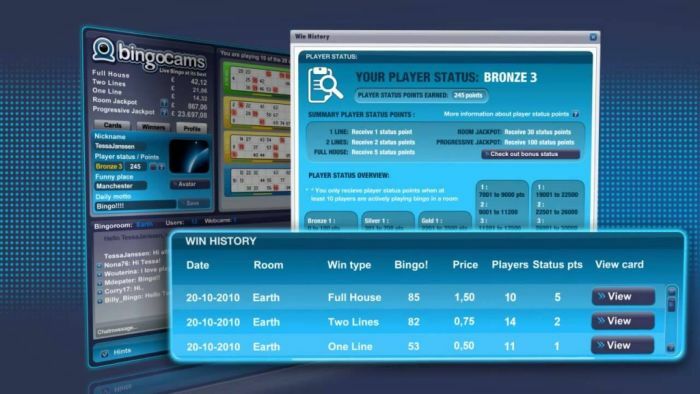 Our Bingocams software is used across both brands and casino games are from Microgaming. We hope to get Greentube Games and NetEnt this year as well. 7. Where is the customer support based for both brands? In the UK. We're getting an office in London soon. We pride ourselves on the live support. The customer support takes a lot of pride in their work. They always want to provide the best customer service with quick response times. It's quite personal responses instead of all these canned responses so they speak to players on a more personal level. 8. What do you think is the most important message you can get across to players? I think that as any sort of customer you can't expect to get the best value - you get back what you give. So, if all you're looking for is sign up bonuses and moving from site to site to site, why should you expect to be treated as well as the regulars who are there day in and day out for the last 5 years. You can't just expect it. You should at least have one site that you play on 50 percent of the time and try other sites. You can't expect to get back the best value if you're not going to commit and become a loyal member. It is a community and we're always focused on the community. We're not robots, we're real people. I think that's what all bingo players should start thinking about now. Especially when the whole industry has gotten so big. It's going to start getting smaller again as brands start joining together. Players need to focus on getting the most out of one site rather than flitting between all the different brands. Thanks for the interview. I would love to be able to try out Bingo Cams one day, as my country is currently restricted from registering and playing. Im certain it would be a strange experience at first for me, letting all those people see me playing on a webcam :D Its certainly quite unique approach when it comes to playing bingo online. Using webcams was a great idea and I am as surprised as Vikki that no other bingo rooms are using them. Nice interview. I love Bingocams and it is definitely the friendliest site out there. Very interesting and genuine interview. It's nice to see that much effort is being put into giving back to players. The webcam idea is so creative, yet something so perfectly relevant that it's surprising no one else has come up with it.